My IT Infra Billing is a complete solution for any telecoms company wanting to provide residential, business and wholesale voice over IP, calling card services, call-back and DID (telephone number) resale. My IT Infra Billing is a class 4 and/or class 5 soft SWITCH developed for an intelligent billing mechanism with detailed logging of wholesale and individual VoIP services, calling cards and similar services. It can be used with other third party software’s and. 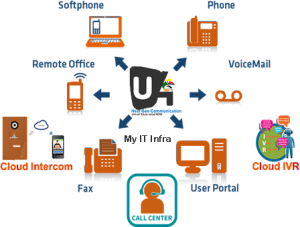 or application to improve ROI of your VoIP business. 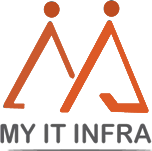  My IT Infra billing supports origination and termination using a variety of technologies such as VoIP, PSTN (PRI, BRI and analogue circuits) and GSM gateways.  My IT Infra billing has a number of payment methods including online payment processors including Paypal, as well as manual payment and top-ups using vouchers via an IVR or the customer’s portal with full accounting and reporting. My IT Infra billing supports commission agents allowing online signup and affiliate marketing, as well automated signup via a simple telephone call providing easy customer acquisition. 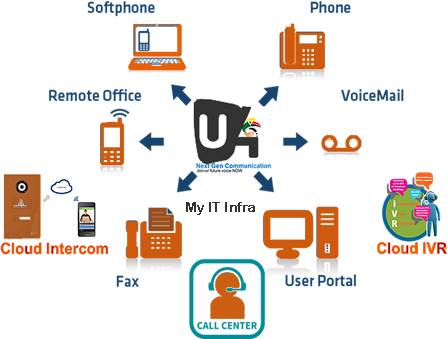  The architecture of My IT Infra billing consists of a database server, Asterisk telephony server and a web-server for administration, agent, customer and online sign-up. Usually these servers are hosted on the same physical hardware, but can be distributed across multiple servers to increase the capacity. A SIP proxy kama lio is added to load balance calls across multiple Asterisk servers and assist with NAT traversal.